Once again it has been lamentably long since I wrote anything much about our NYC activities (July 4th notwithstanding), and somehow it’s August already. Looking back through the calendar for July, we have certainly been keeping busy. Back at the end of June, we celebrated Tom’s birthday with dinner at one of our favourite restaurants, and tickets to the Play that Goes Wrong. This British farce was a delight from start to finish – Tom loved it, and my enjoyment was only marred by concern during the moments when he was laughing so hard he was genuinely unable to breathe. 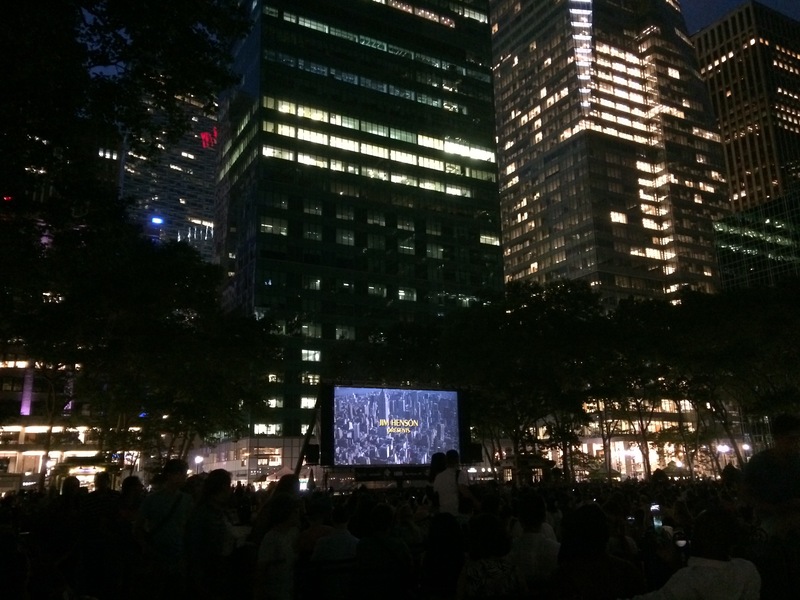 Other than food and fireworks, the July 4th weekend also found us in Bryant Park for my very first outdoor movie-watching experience. An early evening rainshower dampened the lawn but not the audience’s enthusiasm for the Muppets take Manhattan, although we opted for chairs rather than a blanket on the grass. We returned to the park a few weeks later for a performance of Twelfth Night – it wasn’t quite up to the same standard as the National Theatre’s recorded version we watched back in April, but it made for a fun summer Friday evening nevertheless. Musical highlights have included a come-and-sing performance of the Durufle Requiem, and an organ recital. We also went to a very interesting sound installation at the Rubin museum, which included music and sounds both related to and inspired by the collections. Much to the distress of our budget, but a relief from our toasty-warm apartment kitchen, July ended up being a busy month for eating out. Meals ranged from the sublime to the unexpected, although I must say that despite the excellent food at Momofuku Nishi, a convivial bar with a pool table (and good friends to play with) is rather more my style. 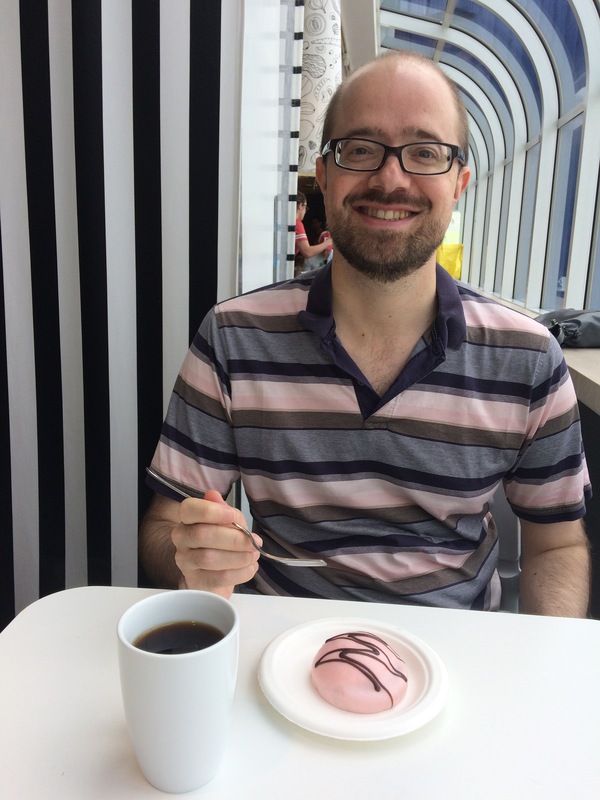 All this notwithstanding, the surprise highlight of July may well have been a trip to IKEA! We had decided that we needed a new wardrobe, and the most cost-effective way to procure one was to rent a uHaul van and drive ourselves to the IKEA out by Newark airport. This of course opened the floodgates to all sorts of other bits and pieces of homeware that we felt might be desirable, plus of course a stand/storage unit was needed for Tom’s new fishtank. I was prepared for New Jersey traffic chaos, a packed shopping experience, and lengthy queues to pay (all of which have happened to us before), but as it turned out the traffic was extremely civilised, the store wasn’t too crowded, and we sailed through the checkout in no time at all. (A friend quipped afterwards that since it was a sunny summer Saturday, most of the population of Jersey was probably at the beach!) We even had time for coffee and a snack in the cafe. This entry was posted in Food and drink, Living, Museums/galleries, Music and tagged art, Bryant Park, food, gluten free food, museums, music, theatre by Emma Davidson. Bookmark the permalink.